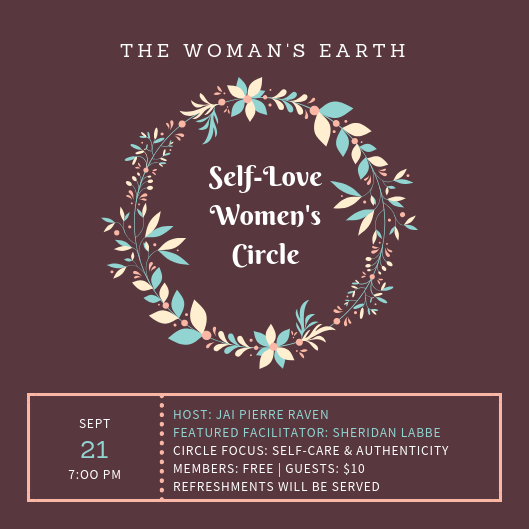 The Self-Love Women's Circle is a monthly series for women who are unapologetic about their Self-Care getting together in a sacred space to unpack challenges and present solutions on how to 'self-love slay' while maintaining their personal and professional responsibilities with excellence. The series is hosted by Jai Pierre Raven, founder of The Woman's Earth featuring a Woman who facilitates healing in her community through her business platform. Our featured Facilitator this month is Sheridan Labbe, owner of Southern Kouture.